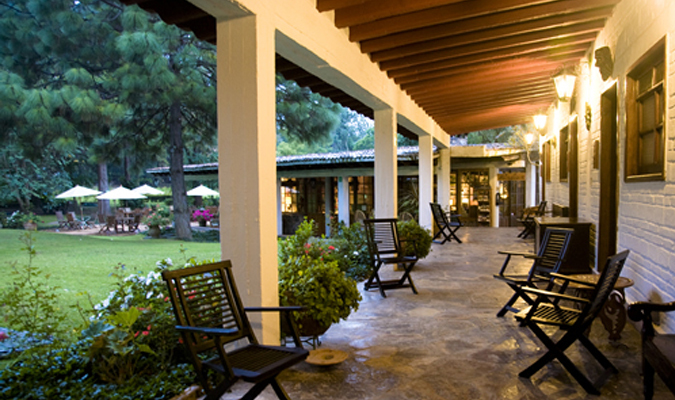 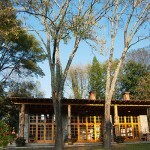 The Hotel Rancho San Cayetano is a country hotel surrounded by nature, tranquility and comfort near the Monarch Butterfly Sanctuaries of Michoacan. 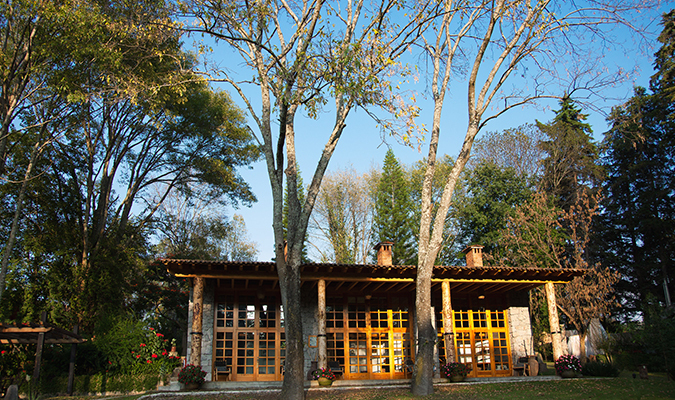 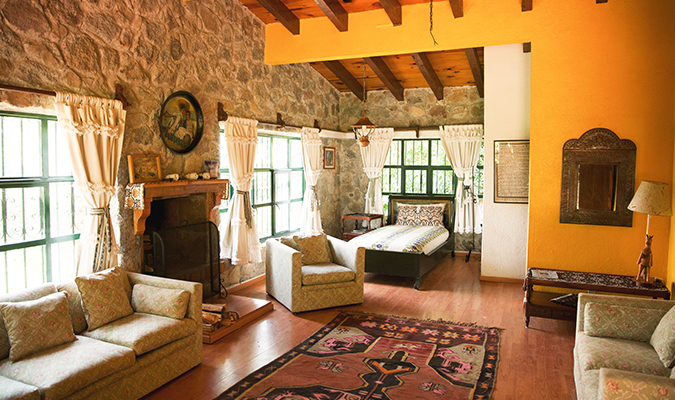 Nestled among 13 acres of Mexican countryside, Rancho San Cayetano is located near the Monarch butterfly sanctuaries and the pretty town of Coatepec. 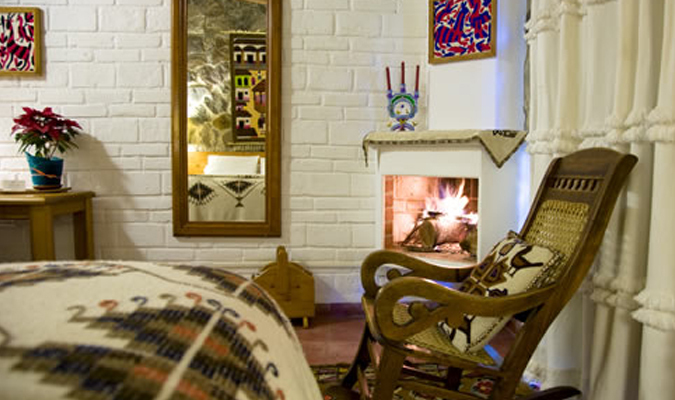 The rooms have a cozy, cottage-like feel with low wood-beamed ceilings, exposed brickwork and beautifully embroidered rugs and throws on the beds. 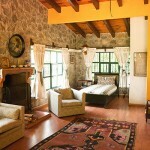 There are also three apartments with lofts, just perfect for families. 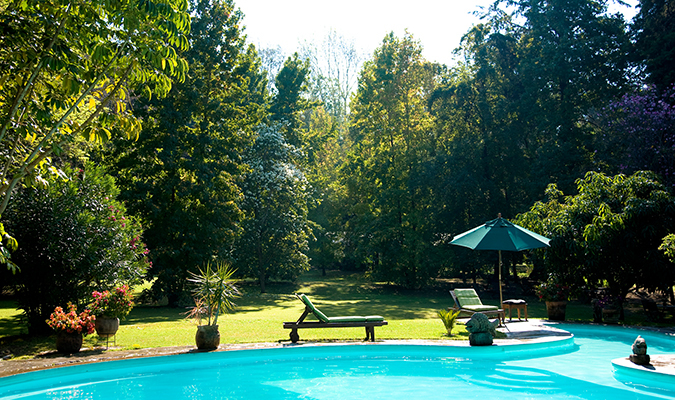 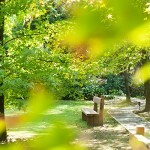 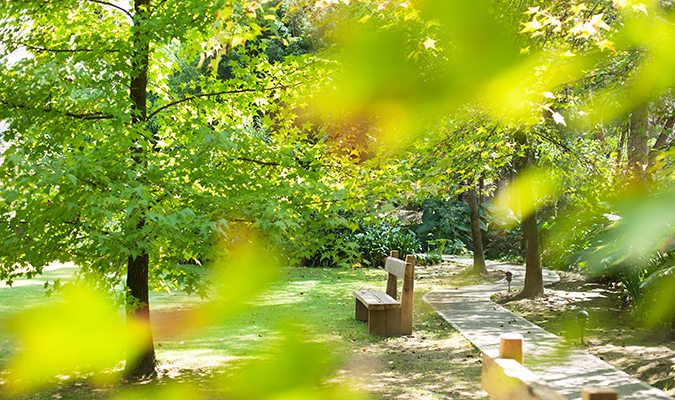 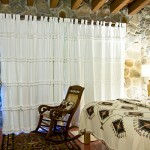 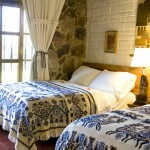 The rooms are scattered throughout the grounds, offering a high level of privacy and tranquility. 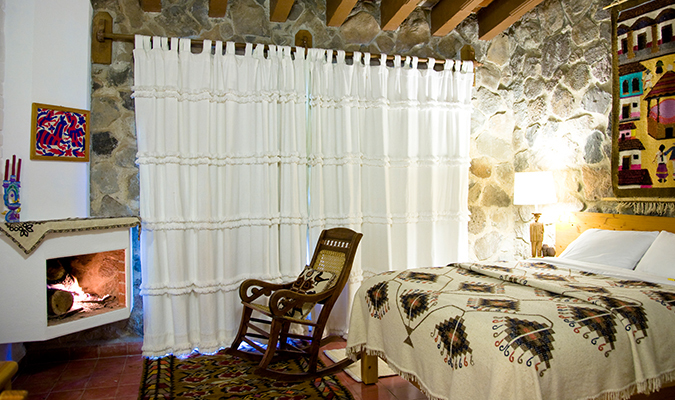 King rooms have fire places for the chillier nights, and most of the rooms have views across the grounds of pine trees and lush green grass. 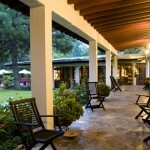 The large common pool is a great place to enjoy the warm days and the restaurant offers a delicious array of cuisine. 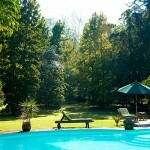 There is also a spa where you can enjoy a massage after a day hiking to see the butterflies. 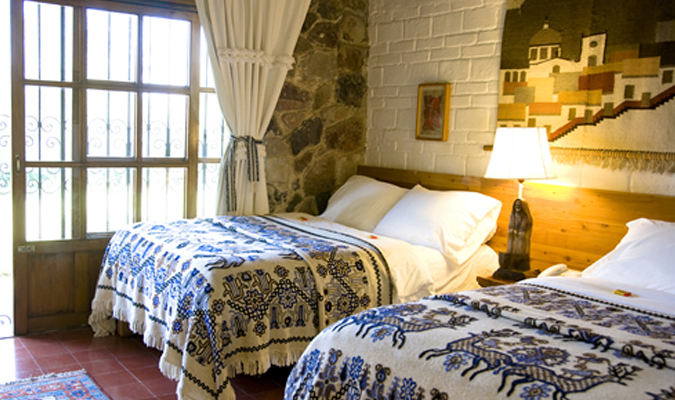 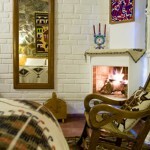 The casita on the edge of the ravine is perfect for couples that want a romantic getaway.